Okra seems to be one of those vegetables that you either love or hate. Despite its delicious flavor, many people dislike okra because of its gelatinous nature. Yet, that gel can be used to our advantage if we know how to use it (and how to minimize it). I cover a lot of the ins and outs of dealing with okra in the video below. My notes are below the video for your personal use. Enjoy! Okra is a member of the mallow plant family, and is grown in tropical and warm climates. The seeds contain a lot of mucilage, which gives okra its reputation for being “slimy” when cooked. The seeds release a sticky gel, so okra is commonly used in Southern cooking to thicken stews and gumbos. It is also used in Indian, Middle Eastern and African cooking. Okra is abundant in vitamins, minerals, fiber, and antioxidants. These combined factors make okra valuable in supporting cardiovascular health by reducing cholesterol, improving type 2 diabetes and digestive disorders with its fiber content, improving eyesight with its beta-carotene, and even helping to fight some cancers. Its abundant calcium and magnesium helps to support strong bones. 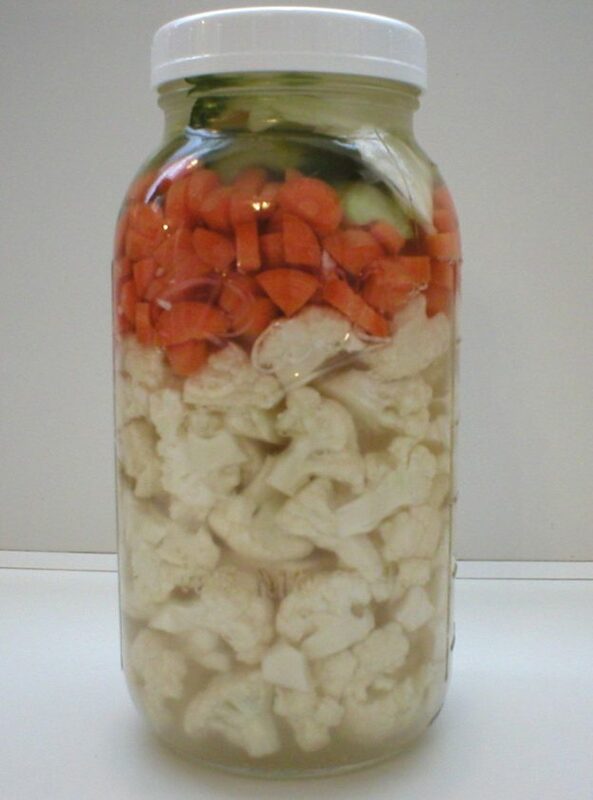 Furthermore, its amino acid content makes it an additional source of protein in the diet. Look for smooth, unblemished pods with bright color. The stem ends will brown quickly after being cut from the plant, so a little browning on that end is fine. Avoid pods with large brown spots, dry looking ends or any shriveled areas. Pods are usually harvested when they are between 1 and 4 inches long. Pods longer than that will be tough. However, the tougher ones can still be used for long cooking in soups and stews. Store okra loosely wrapped in a plastic bag or in the plastic container it was packed in from the grocery store. Use it as soon as possible after buying it. Store it dry; do not wash okra until you are ready to use it. If they become soft and/or brown, it’s time to toss them. Okra can be frozen, but it should be very fresh when frozen. If the pod snaps easily, it’s still good for freezing. Wash them then cut off the stem ends. Blanch whole small pods for 3 minutes, large pods for 4 minutes. Quickly cool them in ice water and drain well. The pods can then be frozen whole or sliced then frozen, depending upon how they will be used later. Use frozen whole okra within one year and sliced pods within nine months. Some people will slice and bread okra before freezing it so it can be baked or fried later. When doing this, slice your blanched okra then dredge it with cornmeal or whatever flour mixture you prefer. Place the breaded okra on a parchment paper lined baking sheet and place that in the freezer. Once frozen individually, they can be placed in a freezer bag or container for later use. Okra can also be dried and ground into a powder that is used as a thickening agent. 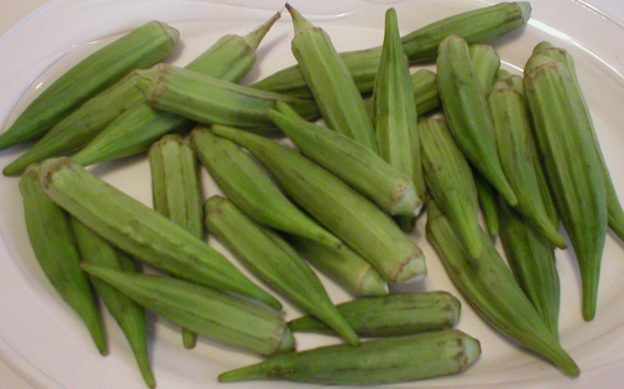 According to the University of Georgia Cooperative Extension Service, okra does not need pretreatment before being dehydrated. Wash, trim, slice crosswise in 1/8 to ¼-inch pieces, and dehydrate for 8 to 10 hours at the temperature recommended by your dehydrator’s manufacturer. Wash the pods well, and allow them to dry before cutting them (to minimize the release of the gel which happens when it comes in contact with liquid). 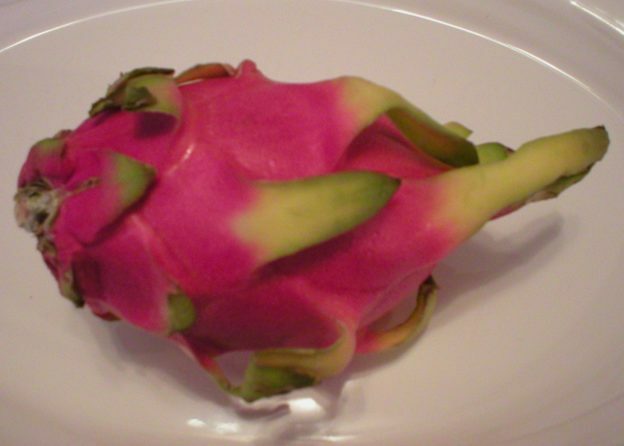 Cut off the stem end, then use as needed, whole or sliced. Okra can be eaten raw or pickled. However, it is more often cooked than eaten raw. 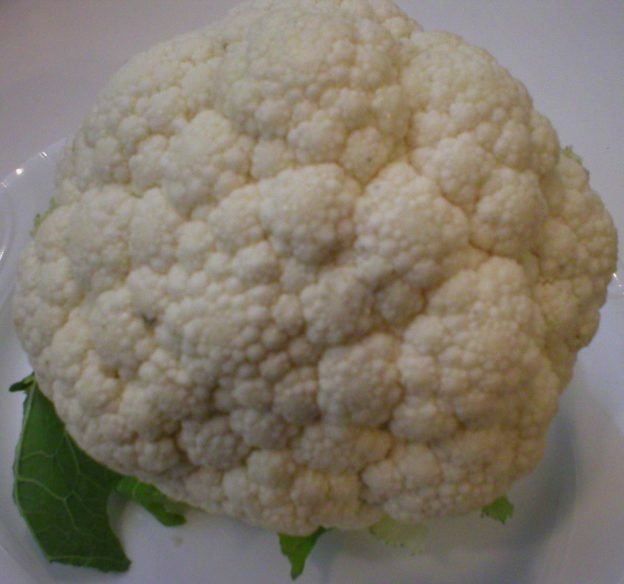 As stated earlier it is often sliced and added to soups and stews as a thickening agent. It can also be roasted, boiled, steamed, battered and fried, sautéed, and grilled. To reduce the “slime” cook okra whole, or slice it into big chunks. Quick cooking methods like sautéing, grilling or frying okra makes it crispy rather than slimy. Some cooks recommend soaking okra in a mixture of vinegar and water for 30 to 60 minutes before cooking it. Some chefs recommend adding some lemon juice, apple cider vinegar, or tomatoes during the cooking process to reduce the gel. Embrace the “slime” by taking advantage if this property to thicken soups, stews, or gumbos. Boil: Cover okra with 1 inch of water and boil just until tender when pierced (5 to 10 minutes). Drain. Steam: Arrange whole okra on a steaming rack. Steam until just tender when pierced (8 to 15 minutes). Grill: Toss okra with a bit of oil and place them on the grill for about 10 minutes. The charred bits of grilled okra highlight the flavor of the pods. * Top hot cooked okra with butter and a drizzle of lemon juice. Sprinkle with chopped chives and/or parsley. * Top cooked okra with a pesto made of cilantro, toasted pine nuts, and fresh lime juice. * Blanch and cool okra, and serve as (or with) a salad with French dressing. * Do not cook okra in cast iron, tin, copper or brass pans. Although it will be safe to eat, the metals will discolor the okra. * Okra will get a sticky texture when overcooked. * Okra does not puree well. * The flavor of okra is similar to that of eggplant and has been used as a substitute for eggplant. * Salt okra after being cooked, just before serving. Salting the cooking water or the okra itself during cooking will bring out the slimy texture. To enhance the flavor of okra, cook it with onions and/or garlic. Oregano, sage, basil, garlic, curry powder, salt, and thyme all go well with okra. Southeast Asian cooks will often flavor okra with cumin, turmeric, coriander, or garam masala. Cooks in the American South will often pair okra with chili, cumin, and ground black pepper. Onions, lamb, beef, pork, shrimp, corn, rice, peppers, tomatoes, dried apricots, eggplant, coriander, lemon, celery, garlic and vinegar all pair well with okra. This entry was posted in Food and tagged health benefits of okra, how to prepare okra, how to store okra, how to use okra, okra 101 the basics, what to do with okra on April 18, 2019 by Judi. Here’s an EASY way to roast acorn squash without any oil or nonstick cooking spray. See the video demonstration below. Written directions follow the video. Enjoy! Wash acorn squash and cut in half, either lengthwise (from stem end to the bottom point) or around the middle (the width area). If the squash halves will be stuffed and/or served by the halves and you also opt to cut around the width, cut a small amount off the bottom point of the squash first so the bottom half will sit upright after being cut. 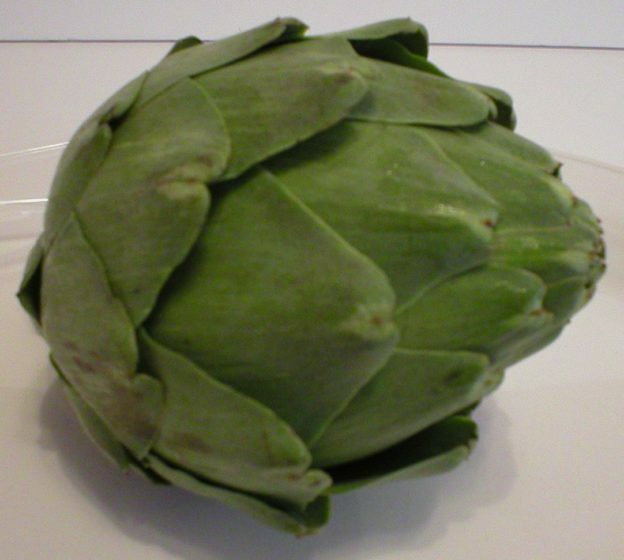 Also, cut off any amount of the stem needed so the top half will also sit flat after being roasted. With a spoon, remove the seeds and discard them. Place the squash cut side down on a parchment paper lined rimmed baking sheet. If you prefer to roast the squash without parchment paper, place them cut side down on a clean, dry baking sheet or glass baking dish. Place in preheated oven and roast for about 30 minutes*, or until a knife inserts easily through the skin into the flesh of the squash. *Important note! If you are not using parchment paper, about 15 minutes into the baking time, remove the pan from the oven and move the squash around. They will be starting to stick. Moving them around will loosen them from the pan and the juices they release should prevent further sticking. 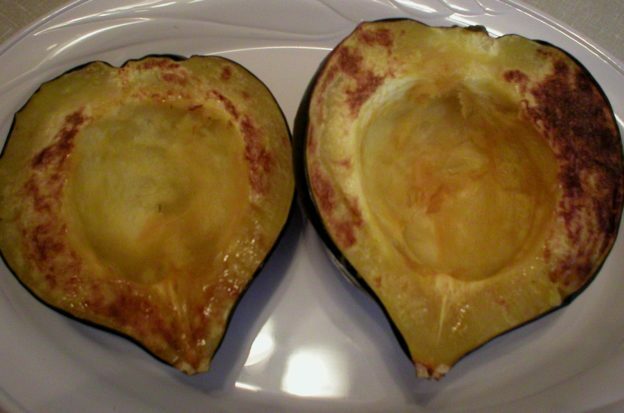 This entry was posted in Food and tagged can you roast acorn squash without oil, no oil roasted acorn squash, oil free acorn squash, sos free acorn squash recipe on April 17, 2019 by Judi. Potato fries are an American favorite. Yet, these things are often loaded with fat and sometimes unwanted chemicals. With the trend toward roasting vegetables without added oils, I decided to do a comparison test of roasting potatoes with and without oil. The results were truly interesting and even unexpected! See the video below for the results. My test notes are following the video. Enjoy! Group #1 – These were roasted raw with a light coating of extra virgin olive oil. A relatively small amount of oil was used, with no more than one teaspoon of oil on 9 potato pieces. Group #2 – These were roasted raw without oil. Group #3 – These were first boiled for about 5 minutes, until not quite fork tender, then roasted without oil. The three groups were placed on their own sheet of parchment paper and all placed on the same baking sheet. They were roasted in a preheated 400F oven with the rack in the middle of the oven. All three groups were baked for 32 minutes then removed from the oven. All samples were baked at 400F for 32 minutes at the same time on the same baking sheet. Group #1 had the most browning with the browned areas being relatively spotted along the pieces. This probably reflects the areas where oil was actually coating the potatoes, with more browning on the oil-coated areas. Group #2 browned, but not as much as Group #1. The browning was more evenly disbursed along the length of the potato pieces. Group #3 had the least amount of browning, probably due to the added water content. It appears they may have browned more if they were left to roast for a longer amount of time. Group #1 had the texture one would typically find in a French fry. The outside had a crispy crunch to it, while the inside was soft. Group #2 was slightly dry on the outside, while the inside was tender. It did not have the usual “crunch” of a typical potato fry. It was not rubbery nor hard to bite into. Group #3 turned out very much like Group #2. The outside was slightly dry while the inside was tender. It had no noticeable crunch. It was very difficult to tell the difference between Groups 2 and 3. Group #1 had an excellent flavor…exactly what you would expect from a homemade potato fry. It did not taste oily even though it had a light coating of oil. Group #2 tasted like dry potato with some moisture inside. The flavor was slightly different from that of Group #1, resulting from the omission of oil. Group #3 had a very slightly better potato flavor than Group #2, although the difference is flavor is hardly noticeable. First place: Group #1 ranked first overall. It had the most browning so the appearance was what you would expect of a potato fry. The flavor and texture were excellent, with the outside having a crispy crunch, and the tender interior being what we look for in a quality potato fry. Second place was tied: Groups #2 and #3 tied for second place. With the exception that Group #3 needed a little extra oven time for browning, the texture, appearance and flavor were extremely close and hard to tell apart between the two groups. 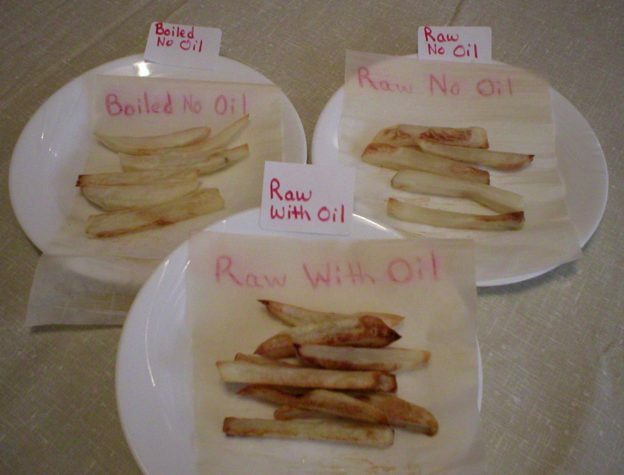 If you want to avoid using added oils when making homemade oven-roasted potato fries, either method (roasting raw without oil or boiling first then roasting without oil) would be acceptable regarding texture, appearance, and flavor. There is little difference between the two except that when boiled first, the potatoes will need a little more roasting time for browning to occur, and the boiling seems to add a slight more potato flavor. It is important to note that peeled and cut potatoes will oxidize (turn dark) quickly. 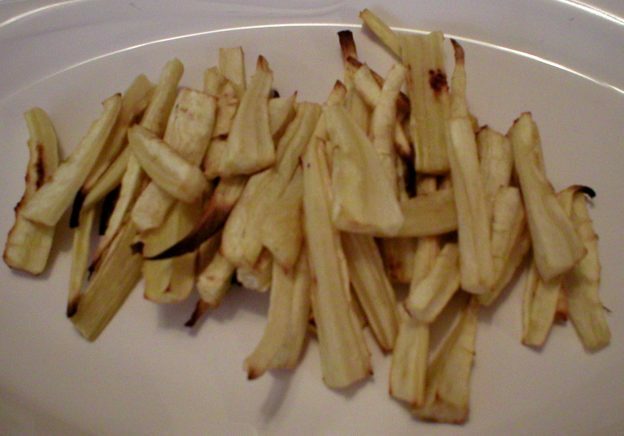 If opting to roast potato fries without boiling them first, it will be helpful to place them in a bowl of water to prevent them from turning dark, if they will not be used immediately. Boiling the potatoes before roasting eliminates this potential problem. This entry was posted in Food and tagged oil free french fries, oven potato fries oil vs no oil test, roast oven fries without oil, sos free roasted potatoes on April 16, 2019 by Judi.